Sooke is a district municipality situated on the southern tip of Vancouver Island, Canada. 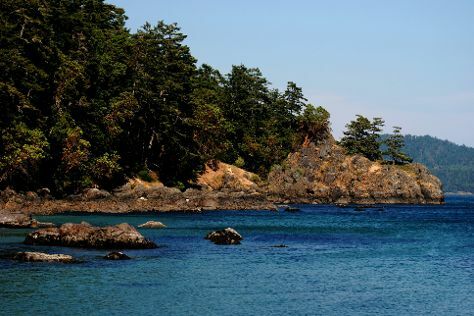 Kick off your visit on the 7th (Wed): tour the pleasant surroundings at French Beach Provincial Park, then take an in-depth tour of The Sooke Region Museum, and then look for all kinds of wild species at East Sooke Regional Park. For traveler tips, more things to do, maps, and more tourist information, read Sooke trip planner . Calgary to Sooke is an approximately 8-hour combination of flight and bus. You can also do a combination of car and ferry. Due to the time zone difference, you'll gain 1 hour traveling from Calgary to Sooke. When traveling from Calgary in August, plan for slightly colder days in Sooke, with highs around 20°C, while nights are about the same with lows around 13°C. Wrap up your sightseeing on the 7th (Wed) early enough to travel to Vancouver. Get outdoors at Granville Island and VanDusen Botanical Garden. There's still lots to do: tour the pleasant surroundings at Stanley Park, explore and take pictures at Capilano Suspension Bridge Park, explore the striking landscape at Vancouver Seawall, and take in the awesome beauty at Grouse Mountain. To see reviews, where to stay, photos, and other tourist information, go to the Vancouver online tour itinerary planner . You can do a combination of bus and flight from Sooke to Vancouver in 3 hours. Other options are to do a combination of car and ferry; or do a combination of bus and ferry. Plan for somewhat warmer temperatures traveling from Sooke in August, with highs in Vancouver at 28°C and lows at 17°C. Wrap up your sightseeing on the 11th (Sun) early enough to drive to Jasper National Park. The largest national park in the Canadian Rockies, sprawling Jasper National Park encompasses more than 10,000 sq km (4,200 sq mi) of largely unspoiled mountain wilderness. 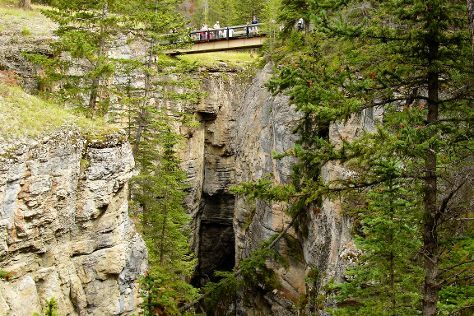 Take a break from the city and head to Maligne Canyon and Columbia Ice Field. And it doesn't end there: trek along Mount Edith Cavell Trail, take in the awesome beauty at Mount Edith Cavell, tour the pleasant surroundings at Skyline Trail, and take in the dramatic scenery at Athabasca Falls. To find photos, traveler tips, and tourist information, read our Jasper National Park route planner . Getting from Vancouver to Jasper National Park by car takes about 10 hours. Other options: do a combination of flight and bus; or do a combination of flight, bus, and train. Traveling from Vancouver to Jasper National Park, you'll lose 1 hour due to the time zone difference. Expect a bit cooler evenings in Jasper National Park when traveling from Vancouver in August, with lows around 7°C. Finish your sightseeing early on the 17th (Sat) to allow enough time to take a shuttle to Banff National Park. Among the world's oldest national parks, Banff National Park serves as a World Heritage-listed mecca for cyclists, hikers, skiers, bird-watchers, mountain climbers, and anyone else with a passion for exploring vast untouched wildernesses. Get outdoors at Yoho National Park and Moraine Lake. There's much more to do: explore the activities along Lake Louise, take in the dramatic scenery at Bridal Veil Falls, hike along Sentinel Pass, and stroll through Lake Agnes. For maps, traveler tips, more things to do, and tourist information, refer to the Banff National Park road trip planning app . Traveling by shuttle from Jasper National Park to Banff National Park takes 3 hours. Alternatively, you can drive. Expect a bit cooler weather when traveling from Jasper National Park in August: highs in Banff National Park hover around 24°C, while lows dip to 6°C. Finish up your sightseeing early on the 23rd (Fri) so you can travel to Gros Morne National Park. A World Heritage Site and a major vacation destination, Gros Morne National Park offers a chance to discover a dramatic mountain landscape created by the process of continental drift. Take a break from the city and head to Gros Morne National Park and Shallow Bay Beach. There's much more to do: take in the awesome beauty at The Tablelands, hike along Eastern Point Trail, enjoy the sea views from Lobster Cove Head Lighthouse, and explore the activities along Berry Hill Pond Trail. To see ratings, more things to do, traveler tips, and tourist information, go to the Gros Morne National Park tour itinerary planner. Traveling by combination of shuttle and flight from Banff National Park to Gros Morne National Park takes 13 hours. Alternatively, you can do a combination of car and ferry. The time zone difference when traveling from Banff National Park to Gros Morne National Park is 3 hours. Traveling from Banff National Park in August, Gros Morne National Park is a bit warmer at night with lows of 13°C. Finish up your sightseeing early on the 28th (Wed) so you can travel to Quebec City. Start off your visit on the 29th (Thu): admire the sheer force of Parc de la Chute-Montmorency and then explore the stunning scenery at Canyon Sainte-Anne. On the 30th (Fri), you'll have a packed day of sightseeing: appreciate the extensive heritage of Terrasse Dufferin and then get to know the fascinating history of Old Quebec. To find more things to do, where to stay, photos, and other tourist information, refer to the Quebec City day trip tool . Getting from Gros Morne National Park to Quebec City by flight takes about 9.5 hours. Other options: do a combination of bus, ferry, and car. The time zone difference moving from Newfoundland Standard Time to Eastern Standard Time is minus 1 hour. In August, Quebec City is somewhat warmer than Gros Morne National Park - with highs of 30°C and lows of 17°C. Cap off your sightseeing on the 30th (Fri) early enough to travel to Niagara Falls. Indisputably one of the world's most impressive natural sights, Niagara Falls straddle the United States/Canada border, marking the spot at which a thundering river plunges over a major escarpment. Get in touch with nature at Journey Behind the Falls and Niagara Parks Butterfly Conservatory. And it doesn't end there: take in the dramatic scenery at Niagara Falls, make a trip to Rainbow Bridge, enjoy the sand and surf at Sunset Beach, and learn about winemaking at Caroline Cellars Winery. To find more things to do, maps, other places to visit, and tourist information, use the Niagara Falls holiday maker site . Do a combination of flight and train from Quebec City to Niagara Falls in 7 hours. Alternatively, you can drive; or take a train. In August, daily temperatures in Niagara Falls can reach 31°C, while at night they dip to 19°C. Finish up your sightseeing early on the 2nd (Mon) so you can travel back home.